Based in Warwick, on Queensland’s Southern Downs in Australia, Vigilance Technologies Pty Ltd are manufacturers of BirdDeter, the world’s first responsive bird deterrent systems, operating in Australian vineyards and other industries since 1997. BirdDeter bird control systems employ unique patented radar technology, which detects birds before they enter the protected area, scaring them away before they are able to cause any potential damage. BirdDeter system is the world's first radar bird deterrent system for the ultimate protection from pest birds. Unlike other bird control products, Vigilance’s BirdDeter is responsive, that is, the system knows when birds or flying foxes enter the crop area, and then scares them away. 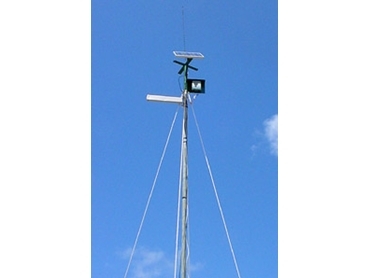 These innovative bird deterrent systems comprise two parts: the radar detection units, and the bird deterrent modules. Combining these two elements together as a system produces the best results; however in some situations, excellent results can be obtained by using the deterrent module alone (The Kestrel). Supplementary bird deterrent devices such as gas cannons, Scarey Clown, electric hawk and strobe lights can be connected to and triggered by the deterrent modules. Optional connection to gas cannons, Scarey Clown, electric hawk, strobe lights, etc.